Blockstream Corp., a for profit company that employs a number of Bitcoin Core developers, has announced a new strategic partnership as well as receipt of $25 million in investment. “Blockstream’s Elements Platform sits at the heart of the recent launch of DG Lab DVEP™ (Digital Value Exchange Platform), an advanced framework for real-world payment systems built on blockchains. DG Lab DVEP™ is an application and business logic layer built on top of Blockstream’s Elements Blockchain and will enable rapid development of use cases and services for the Japanese market,” Blockstream said. DG Lab Fund has further made an investment in Blockstream, “raising the company’s total funding to date to more than $80 million USD,” Blockstream said. Their last funding round was $55 million, led by AXA. Therefore it appears DG Lab has invested another $25 million in the for profit company. DG Labs is seemingly building trademarked products on top of Blockstream’s elements project, which appears to mainly include the Lightning Network and Liquid, a hardware based sidechain of sorts. “This new venture will drive the market by allowing the companies that issue and circulate points and cryptocurrencies to expand their operation all over Japan by linking them to Tokyo Tanshi’s network of local banks,” DG Labs says. Bloomberg describes Tokyo Tanshi Co. as a company that “provides inter-dealer and money market brokerage services in foreign exchange and currency funds, IRS, currency swaps, FRAs, OTC options, and financial futures transactions. Tokyo Tanashi thus appears to be a vast financial services company that mediates even inter-bank deposits. They apparently aim to, in effect, blockchenize fiat money with the assistance of Blockstream. “DG will help Blockstream enter the Japanese market and plans to use DG Lab DVEP™ not only in FinTech but also to develop new business opportunities in Japan using Blockchain technology in a variety of areas such as assisting local governments with their regional revitalization, applying big data in automotives and driverless cars, and the healthcare market.” Digital Garage says. 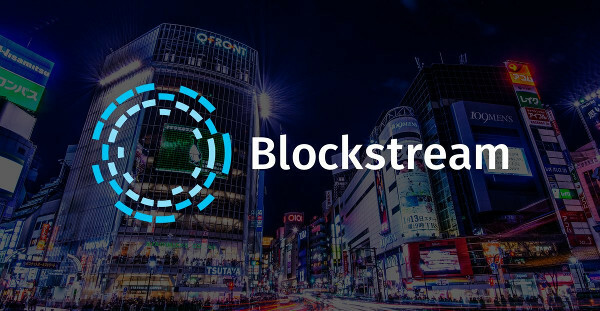 Blockstream therefore is seemingly assisting local governments in implementing blockchain technology while also working with Tokyo Tanshi to integrate blockchain tech in traditional financial markets, including fiat currencies.